Click on the "Key Shield" hyperlink below for access to my password protected members' area research for the genealogies of various Curtius - Korte - Kur(t)z(e) families and family coats of arms. Click on the hyperlink above to access the genealogies of various Curtius families. Currently the Korte / Curtius / Kurtze of Bremen, Lippe, Kassel etc. 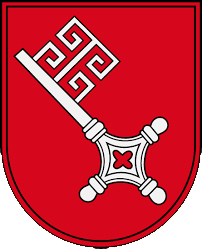 database contains 846 people; the Kurtz family of Reutlingen contains 1246 people; Kurtze alias Curtze family of Waldeck contains 670 people; Korte alias Curtius of Lübeck contains 48 people and the other families are represented by smaller numbers in the database. My own Van Zomeren family from the province of Groningen in the Netherlands contains over 21,000 people. The genealogies are fully interactive with hyperlinks, images, sources, maps, etc. See where and if you fit in? To recap on the stages to gain access to the members' area. 1. Obtain a Y-DNA 37 (minimum number) marker test through Family Tree DNA (FTDNA) at https://www.familytreedna.com/. Alternatively if you already have a Y-DNA test then transfer the results to FTDNA or email them to me. 2. Notify me at mail@kurtze.co when the results are uploaded and send me details of your paternal ancestry, I will then send you the password to gain entry into the members' area on my website; hopefully we'll find out we're cousins! If you require any help please email me. Data can be used for non-profit, but you must cite my website as the source.